Having had time to reflect on the events of Saturday’s match I have to say I am now doubting the person in whom many fans (and the club board) have placed their faith - namely manager Lee Clark. 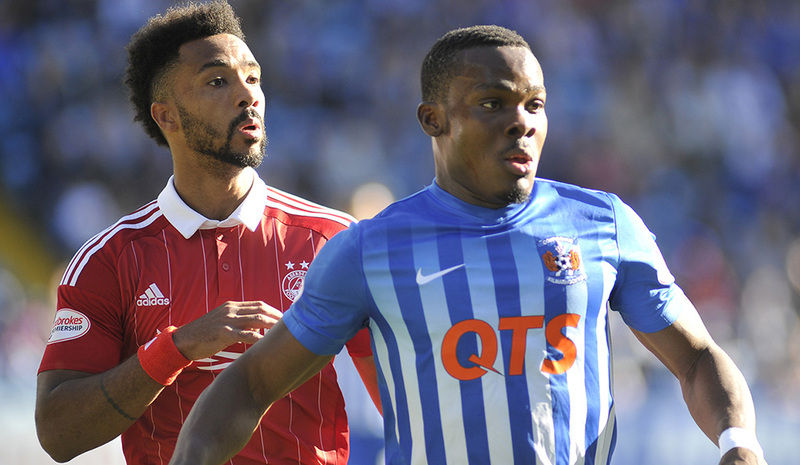 The playing staff was radically over-hauled during the summer but it seems there has been a scatter gun approach in respect of signings and, so far, only two of them seem to be of the standard needed to compete in the top league in Scotland namely Coulibaly and Jones (when given the chance). 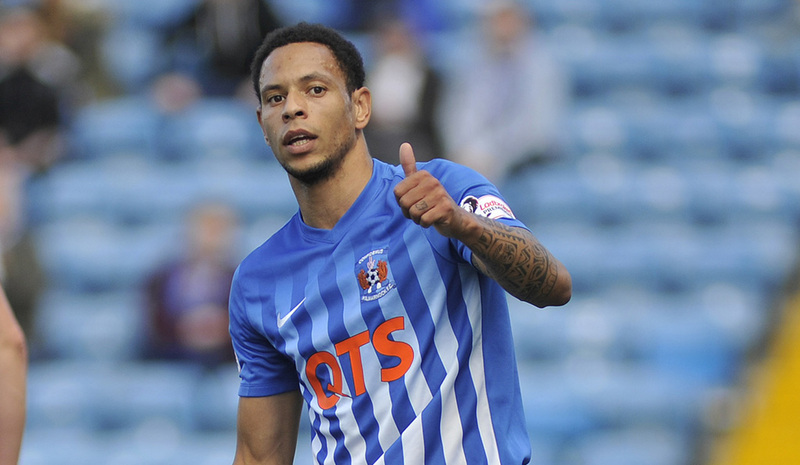 Anyways, having shipped 6 goals at Parkhead Killie started with the same defence with the only changes to the starting line up being Tyson dropping to the bench to be replaced by Greg Kiltie who passed a late fitness test and Charlee Adams replacing the injured Hawkshaw. 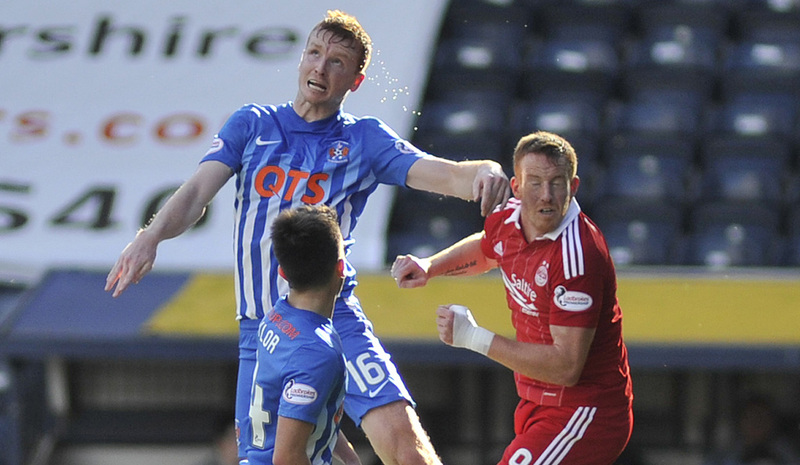 Killie were put under early pressure and as the Killie faithful realised that under fire former Chairman Michael Johnston was not in his usual place in the Directors Box. 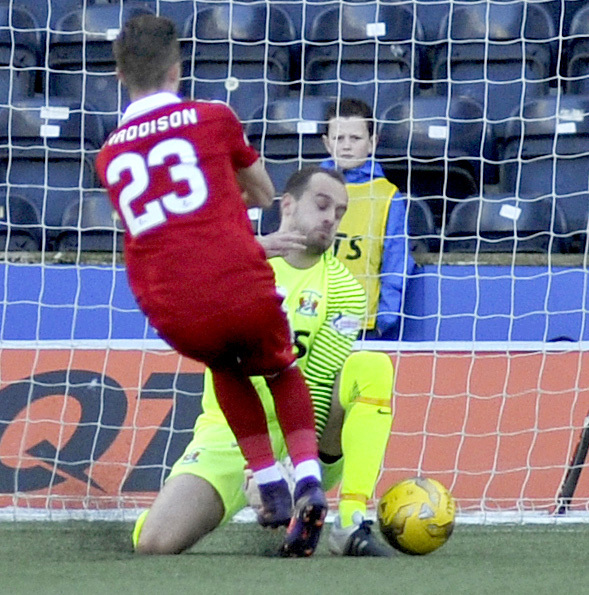 MacDonald had already produced two fine saves to stop McGinn and then Hayes opening the scoring. 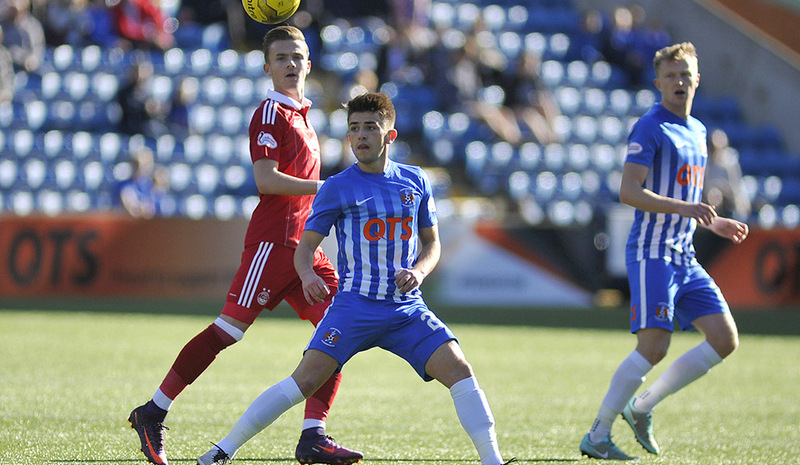 Maddison was at the heart of almost all creativity for the Dons and he played a ball into the feet of Rooney in the 25th minute; the ball broke and as Maddison looked for a return pass Rooney chipped the ball over the defence and the Killie keeper appeared to have gathered the ball when Maddison ran into him. 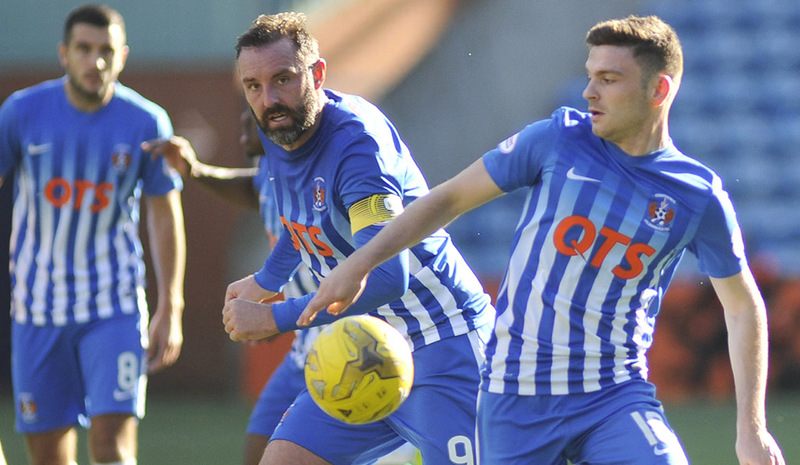 Referee Collum saw things differently - as he often does - and pointed to the penalty spot! 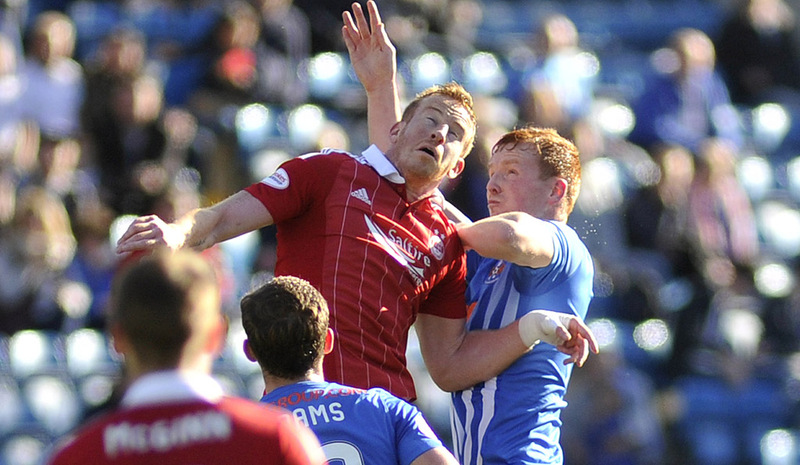 Insult was added when he produced a yellow card for MacDonald who did seem to trip Maddison after he’d been clattered by the Dons player. 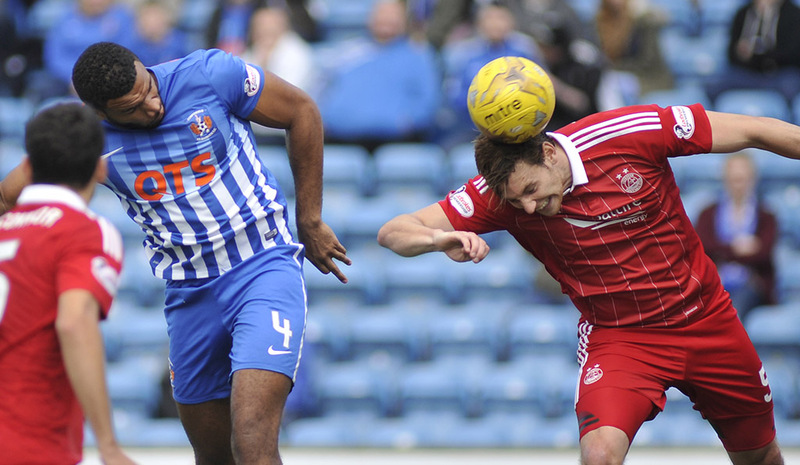 Shock, amazement and anger at such a bizarre decision seemed to be the feelings of the Killie faithful. 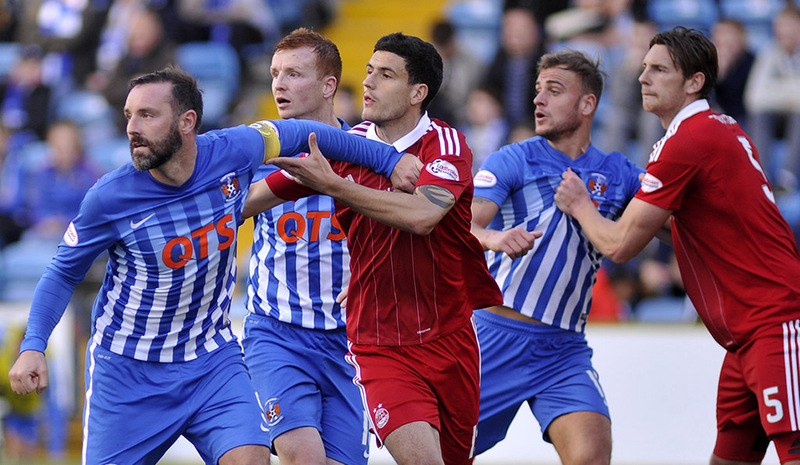 Rooney thrashed home the penalty with the Killie keeper slumping in the other direction. It was to be 0-1 at half time with no shots on target from the home team. 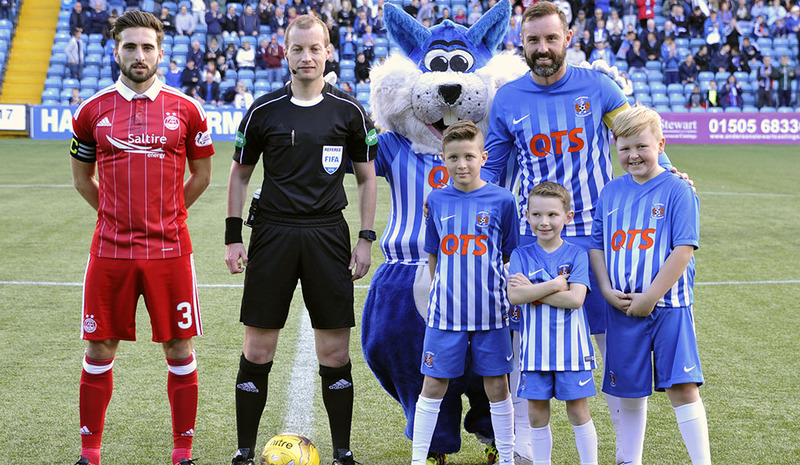 Hope and expectation in the second half did not last long when Considine was given acres of space from a Maddison corner and lashed the ball into the roof of the net with his left foot. Worse was to follow for the home side when, in 67 minutes Jamie MacDonald seemed to be more focused on pushing players out his way than on the ball and Taylor applied the finish in the 6 yard box from another Maddison corner. 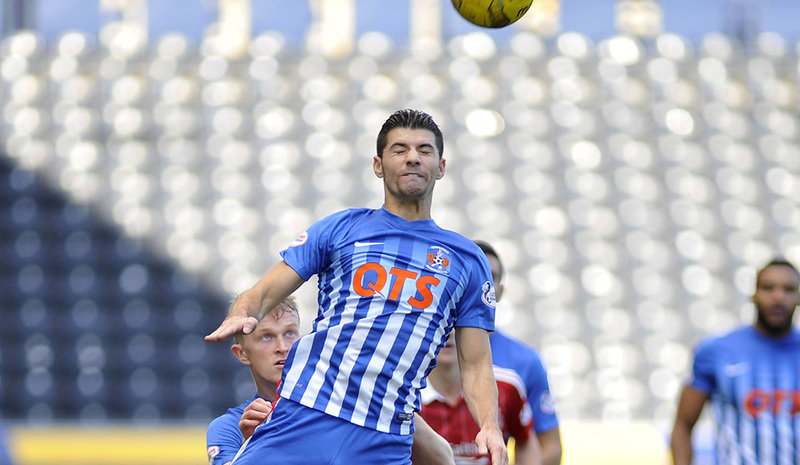 Killie were being opened up at will and Rooney had struck the bar and spurned a glaring one on one chance when gifted the ball by a shocking pass back from young Greg Taylor. 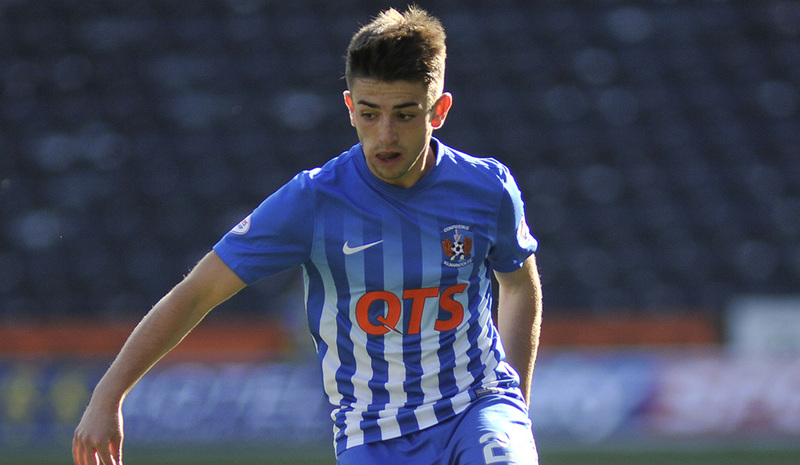 He was then played through by the impressive Hayes on 72 minutes and slotted the ball under the advancing Killie keeper. Final score 0-4 which actually flattered the home side. Lee Clark was to say it had been “men against boys” for the second week running. Who recruited those “boys”? Who has been working and supposedly coaching them for over 3 months now? 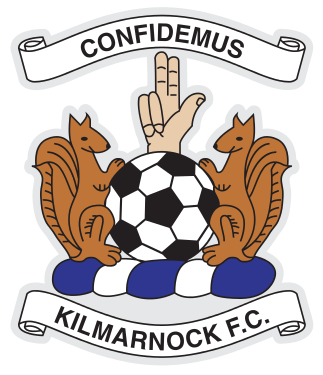 Killie have some more tough fixtures through October and the international break may just allow some tactic talks and plans.....other than hoof ball with no attempt whatsoever to play the ball out of defence through midfield. 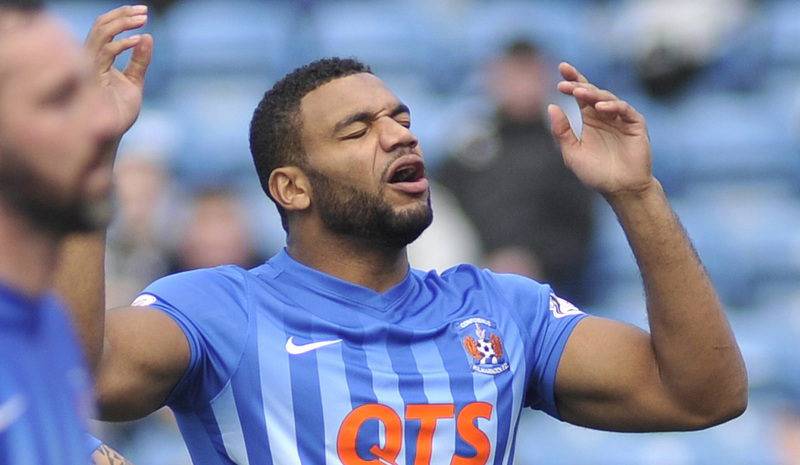 A final depressing stat from Saturday - No shots....none....not one on target from the home side. 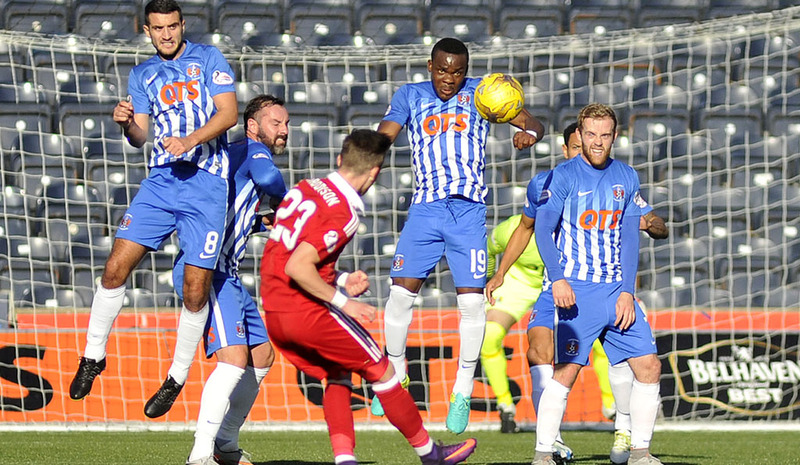 Our next home fixtures are a midweek game against Hearts and then what is already looking like the proverbial “six pointer” against Accies on 5th November. 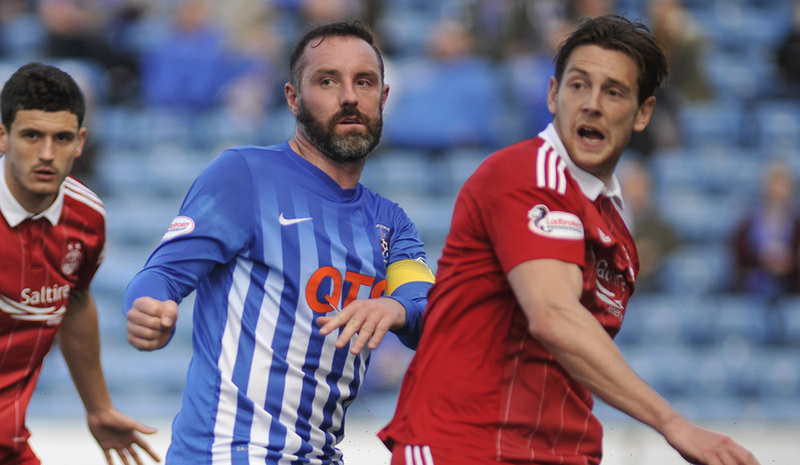 Perhaps by 5th November the side might be playing some decent football and the fans will have united in their efforts to bring about change within the Board Room at Rugby Park? If not, then at least there will be some fireworks displays! Lee Clark: "What's the point in having a go? I will only lose a few quid. It was a strange one, that's all I'll say. I've seen the footage back as well. A strange decision to say the least. First goals are always important. Whether it's changed the game, in the fashion that it ended up, I don't particularly believe so. Second half we never performed at all. I take full responsibility for that. 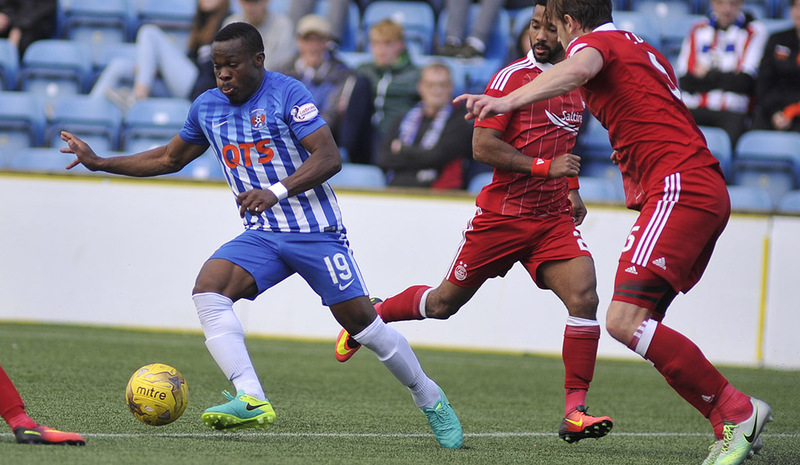 It's been men against boys in the last two games, I thought we could bounce back from the Celtic game and I thought we could give a more spirited performance. I thought we did first half, I thought we went toe-to-toe with Aberdeen. I know they started brightly but we have created chances ourselves. 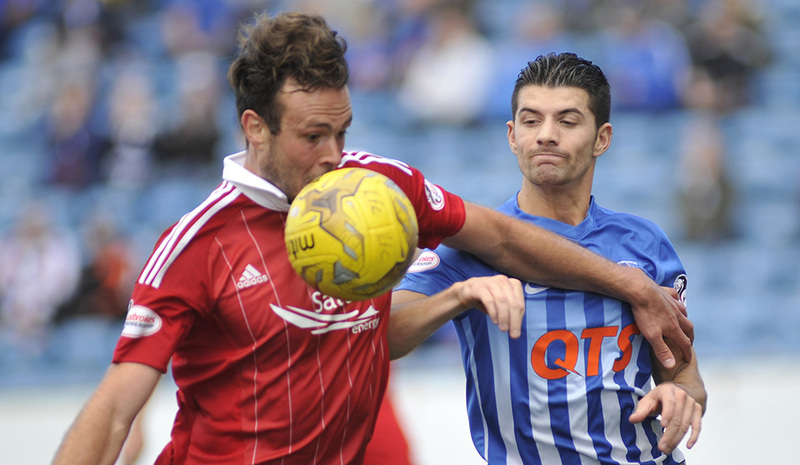 But it became too easy in the end for Aberdeen. We are very, very disappointed."